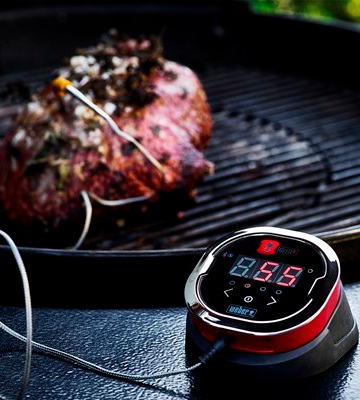 Using Bluetooth, the thermometer will transfer current temperature records to your smartphone saving you the trouble to approach the grill each and giving you a chance to remotely keep an eye on the cooking process. Set up instructions could have been more detailed. 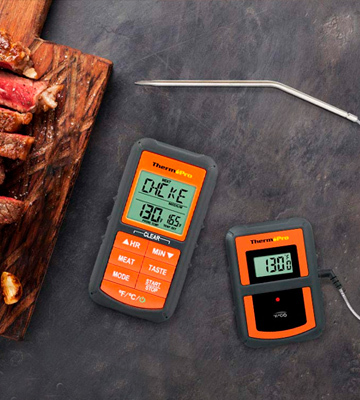 If you seek perfectly precise temperature control when grilling or barbecuing, the Weber iGrill 2 digital cooking thermometer will get you covered. 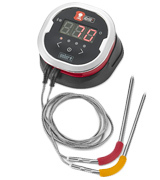 Equipped with 2 probes, it offers the 4-probe capacity to cook several meat chunks at a time. And in the branded app you can choose the necessary settings for the ideal roast. This model allows setting the temperature in Celsius or Fahrenheit and programming the cooking time. A timer with light and sound indicator will inform you when the dish is ready to serve. Besides, all the settings will be stored, even when the unit is powered off. The wires are somewhat short. 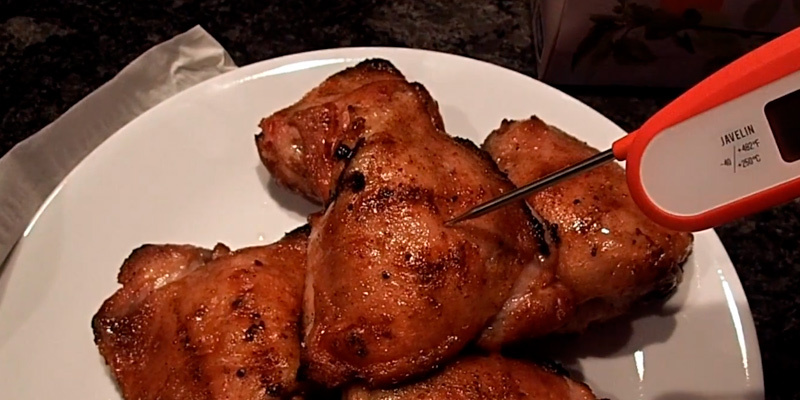 Want to cook a whole variety of meat roasts like a seasoned griller? 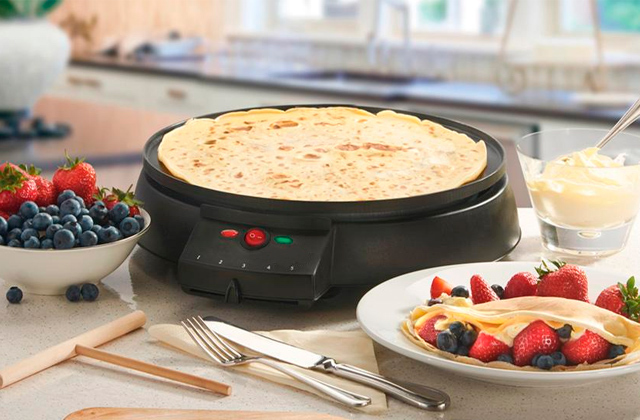 If so, the ThermoPro TP22 will make it an easy task even if your cooking skills are far from professional. The unit comes ready to use right out of the box and needs no synchronization. Just install the batteries and go on to roast. Protection against water ingress. Fast speed of determining the temperature. Due to a short probe, it might be quite tricky to hold it right above the steam. It is very handy and compact digital thermometer which is comfortable to keep in the kitchen or to take it with you during the trip. The unit comes with as many as 6 probes made of high-grade stainless steel with color-coded silicone handles. 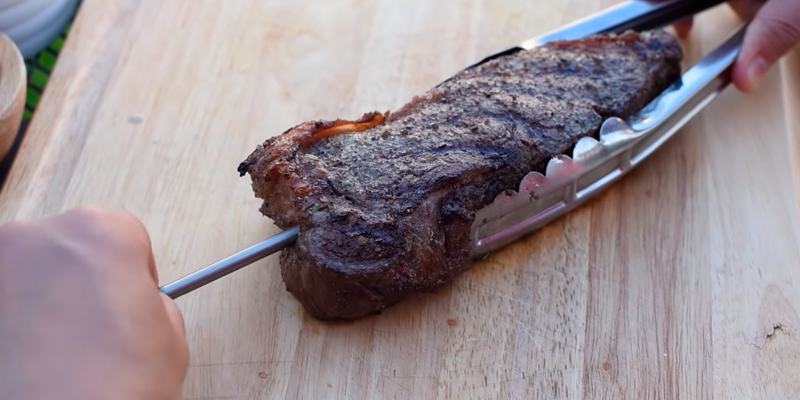 This allows you to cook a number of different size steaks and know exactly when each chunk is ready to take off. Poor display visibility against direct sunlight. 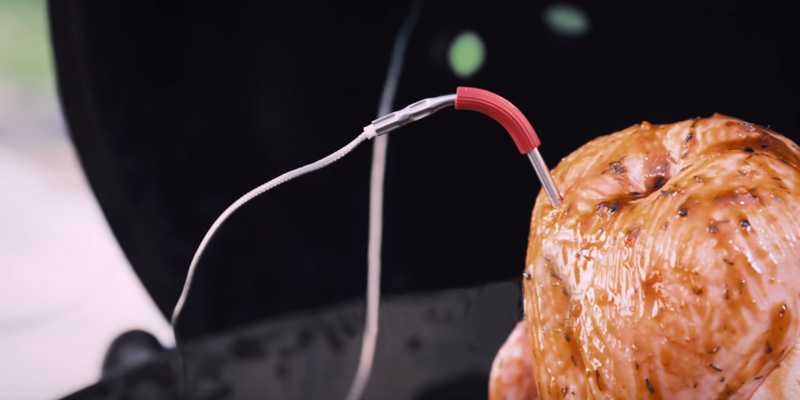 A smartphone-controlled digital meat thermometer from Tenergy Solis will become a really helpful and efficient assistant for any cook, irrespective of their culinary skill level. Thanks to accurate time and temperature settings, all your meals will come out perfectly cooked. Along with 5 preset meat doneness temperatures and 8 modes by the meat type, this model comes fitted with a step-down probe made of solid stainless steel and a 40" metal mesh cable. The unit "eats up" battery pretty quickly. 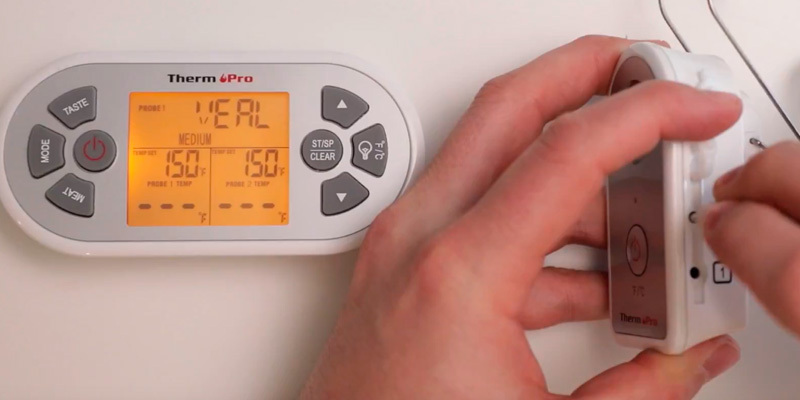 With the ThermoPro TP-07 at hand, you can do anything you need around the house, while a thermometer will look after your meals. Saving you the need to constantly hover over an oven or grill, it will keep you informed on the cooking process and let you know when it's time to take out your dish. Today, smart technologies permeated pretty much every sphere of our life and are not something extraordinary anymore. Cooking is not an exception. 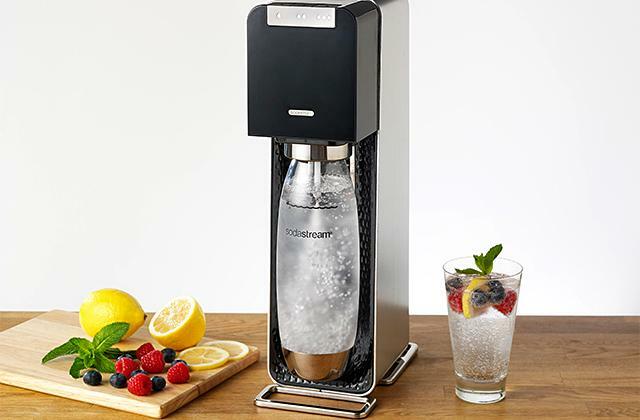 There are a lot of kitchen appliances fitted with smart functions that make your kitchen chores times easier or even do the whole job for you. A modern iGrill2 cooking thermometer from Weber is one of such appliances. Let’s start with the design. It’s a pretty compact digital unit that slightly reminds a hockey puck in shape. 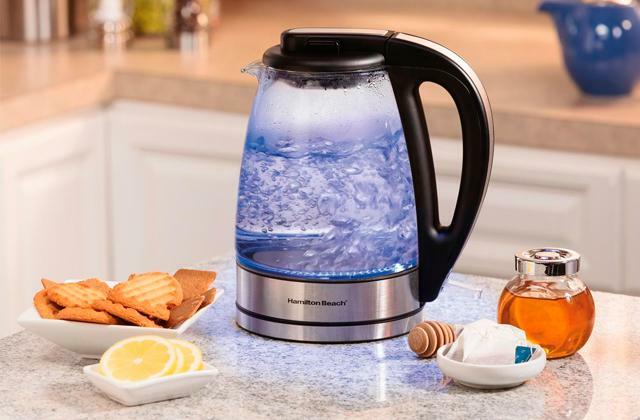 It features intuitive controls and a large and bright LED display that will show the current cooking temperature either in Fahrenheit or in Celsius. Though powered by two AA batteries, the model will impress you with how long it can work before you’ll need to replace them. It boasts as many as 200 hours of battery life while other similar thermometers can hardly offer half of this time. Besides, there is an auto shut-off function to switch off the unit when not in use and save the battery charge. 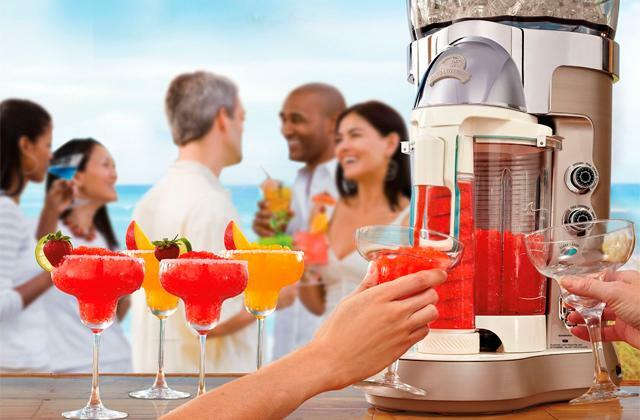 Coming to functionality, the iGrill2 is a fully independent unit that can be used as it is. However, the biggest benefit of this model is the Bluetooth and app connectivity making it function as a transmitter. And your smartphone will serve as a receiver. 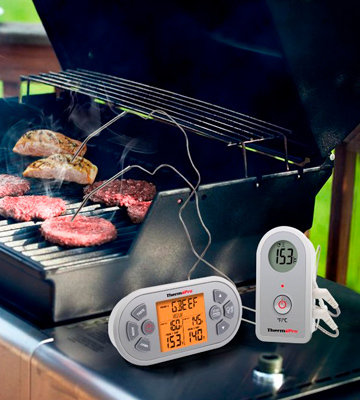 With wireless connectivity within 150 feet radius, the thermometer can transfer current temperature records to your smartphone saving you the trouble of approaching the grill each time and giving you a chance to remotely keep an eye on the cooking process. And if you download a free iGrill app from App Store or Google Play, you’ll discover even more options. Pairing with your tablet or smartphone, the iGrill will let you track the cooking temperature in real time, receive alarms or push notifications when your food is cooked, and even choose from preset cooking temperatures for different foods and dishes. 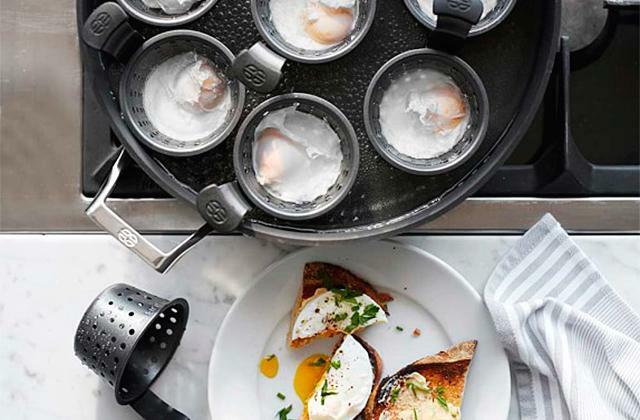 Along with smart options, this model offers amazing cooking precision. It operates within a very wide temperature range from -22°F to 572°F and boasts the accuracy of 1°F. 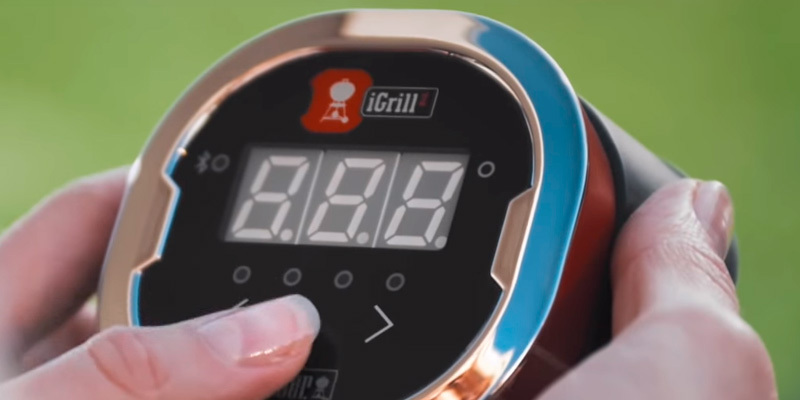 Hence, though initially designed as a grill thermometer (as its name suggests), the iGrill can be used for cooking literally anything. 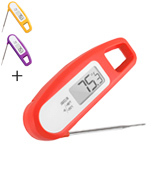 Be it delicately fried salmon, succulent steaks, flavorful pork roasts, smoked chicken wings or even homemade bread, the thermometer will handle it with ease. What’s more, the unit allows connecting 4 probes (with 2 already included in the set) to monitor four meat chunks at once. For example, you can grill 4 steaks at a time and achieve different doneness for them to match different tastes of your family members. All things considered, the iGrill2 grill thermometer from Weber will become a smart and truly helpful assistant for all home and pro cooks alike. 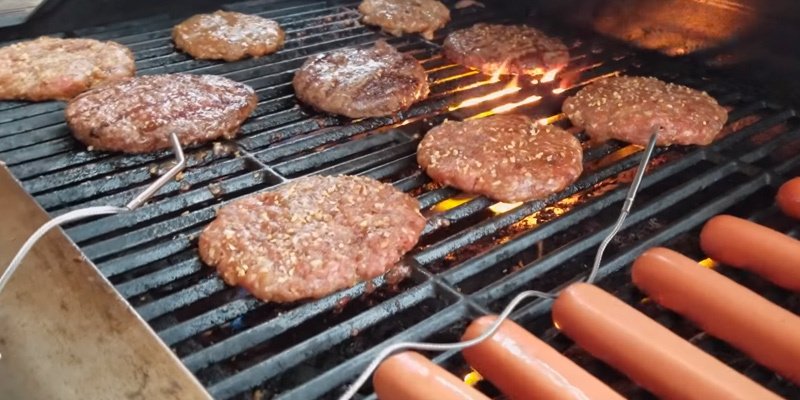 Whatever you cook, with the iGrill2 your meal will come out cooked to perfection. Grilling and roasting meat is kind of art. Only a seasoned griller can determine the meat doneness by eye and never fail. Yet, if you are rather an occasional griller mostly roasting meat outdoors on weekends, holidays, and during family get-togethers, you’ll hardly achieve perfect grilling results without a reliable helper at hand. 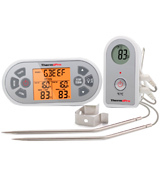 Designed with meat roasting needs in mind, the TP22 probe thermometer from ThermoPro will become a real find for any home griller. 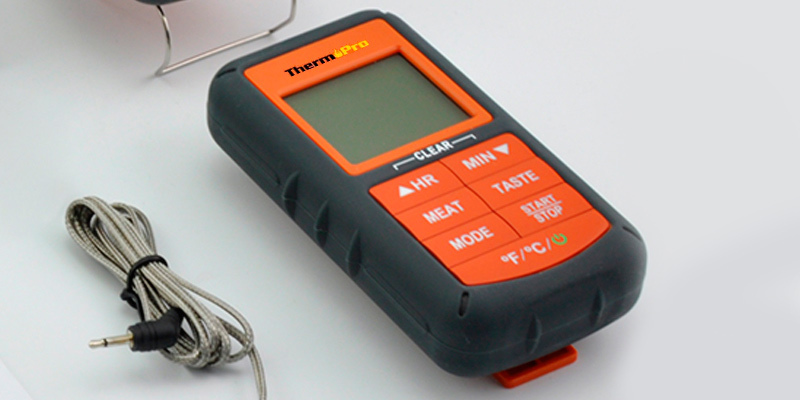 The TP22 is one of the latest models in the ThermoPro range. 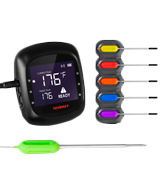 It’s a wireless thermometer with dual measuring probes that will let you monitor two different dishes simultaneously or cook whole poultry, lamb leg, pork knuckle, brisket or large meat chunks with ease. And each time you’ll be sure your dish is cooked at the right temperature that will be proved by ideal cooking results with a zero fail ratio. 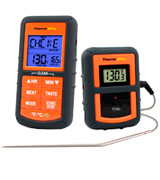 The unit package includes a transmitter thermometer to connect the probes to and a digital receiver to display current cooking temperatures and presets for both probes. The receiver unit operates within the range up to 300 feet and the thermometer withstands the maximum temperature of 572°F delivering the readings with the accuracy of 2°F. A programmable alarm feature is also here. It will let you know when your dish is ready to serve. Besides, all your individual settings will be served even when the unit is turned off. Yet, what really makes this model stand out from the crowd is a number of preset cooking modes for 9 types of meat including beef, veal, poultry, chicken, pork, lamb, fish, ground beef and ground poultry. With pre-programmed temperatures and doneness levels, your meat roasts will come out cooked just as you want them. In addition to preset cooking modes, the TP22 also gives you an opportunity to experiment with recipes and foods by setting your own cooking temperatures manually. 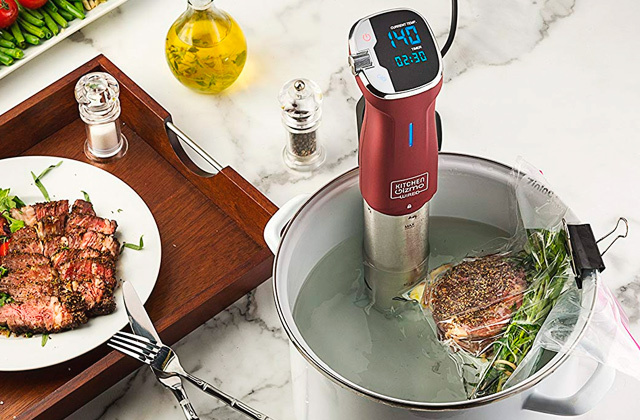 Other than that, unlike many other digital thermometers with smart functionality, the ThermoPro features a built-in count down and count up timer allowing you to set the cooking time up to 99 hours 59 minutes. This option makes this thermometer a great choice for slow cooking and smoking. Whether you cook a mouth-melting veal stew in an oven or smoked pork ribs in an electric or charcoal smoker that might take several hours, just stick the probe into the meat, set the cooking time, and go about your business. The thermometer will monitor the cooking process, no matter how long it is and will let you know when it’s over. To sum up, with the ThermoPro TP22 BBQ smoker thermometer, you’ll quickly bring your grilling skills to a new higher level and will continuously impress your family and friends with delicious grilled foods. The Lavatools Chipotle is a standard digital thermometer, delivering 4 seconds of response time; that's quite a lot for taking a temperature of the cooked food in a flash. Powered by a CR2032 battery, it's good for continuous use of up to 4,000 hours without a change. The battery life is saved owing to the auto shut off function that turns the thermometer off after 60 minutes. A long thin probe can reach in the center of most ingredients and leave no visible marks on the surface. It also allows you to stay further from the heat and steam. Actually, this is the way how you turn the unit on - drag the probe out at its full length. Easy like that! Capable of taking the temperature in the range of -40°F ~ 482°F (-40°C ~ 250°C), this cooking thermometer is perfectly suited for liquids, baking, and grilling. 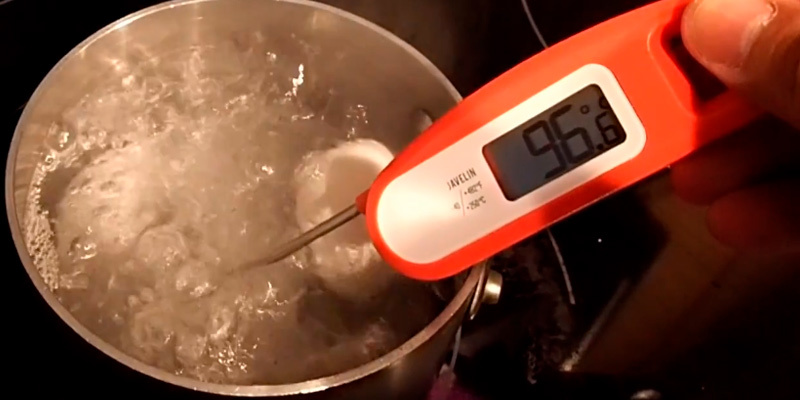 The accuracy of ± 0,9°F makes it extremely precise so that you'll never make a muff of your meal. Temperature measurements are configurable and can be shown in both Fahrenheit and Celsius; set the preferable option with a single press on the button beneath the battery unit. Compared with the other cooking thermometers on our shortlist, the Lavatools Chipotle is the smallest in size. You can easily put it away in a pocket and set off for a journey. You shouldn't have problems when using it for most cooking, however, we do recommend you to be more cautioned when dealing with boiling and hot food. Wearing protective gloves will surely eliminate the risks of burns. Rather than that, it's a super convenient cooking thermometer that can find its place in any kitchen. Attach it to the door of the fridge and keep it always within quick reach. its more comfortable and intuitive to use, by extending the temp sensor wand it turns itself on, when you close it, it turns off. No buttons. For an inexpensive tool, it comes in nice packaging which is a plus! I like how it automatically turns on/off when you pull out the wand. The temperature is very easy to read with big, clear numbers. So much better than the old school thermometers I've used in the past. Like family get-togethers and BBQ parties in your garden, yet, don’t like cooking for those gatherings since not sure what will come out of the oven or grill next time? Forget about the awkwardness and confusion of ending up with overdried burgers or undercooked chicken. With the Tenergy Solis grill and smoker thermometer, your results will always be close to ideal no matter your cooking experience and culinary skills. 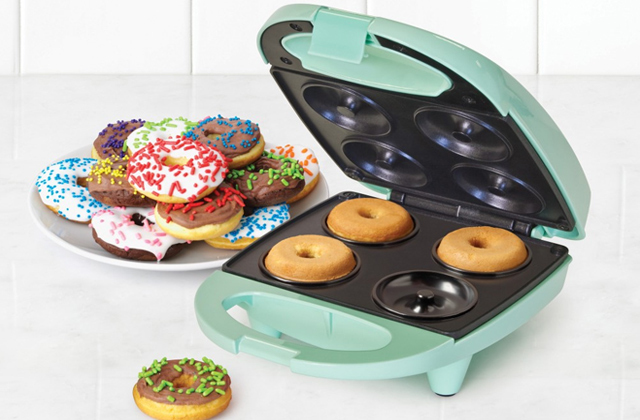 This model offers everything you expect from a good cooking thermometer and even more. You will enjoy real-time temperature tracking, precise temperature measuring with an error margin of 1.8°F, wide operating temperature range (32°F - 572°F), and “the meal is ready” notifications. The smart functionality is included as well. The unit can either be used independently, however, making you keep an eye on it, or function as a transmitter ensuring remote control and saving you the trouble of standing around the oven or grill. 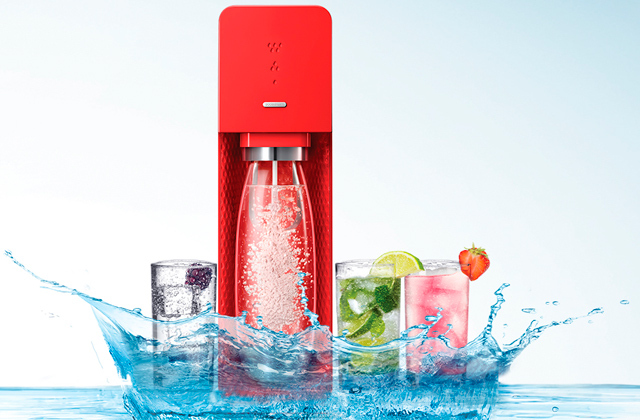 For wireless use, it will pair with your smartphone via a special app for iOS or Android. The app-enabled technology not only provides the benefit of the accurate remote control but also gives you access to a whole variety of cooking settings for grilling, roasting, barbecuing, smoking and more. You can choose between 11 cooking programs for all possible types of meat or even customize the temperature to your individual preferences. The only minor downside we’ve found in this model is the operation range of 100 feet, which is relatively low as compared with other similar thermometers. But it is more than enough if you have a moderate size yard or place your grill on the terrace or closer to the house rather than put it in a distant corner of your large garden. Besides, if the connection is lost, the unit will send an alarm to prevent overcooking. Cooking is not an easy task but the Tenergy thermometer will make it easy and enjoyable for you. All the above-mentioned functions and options are available for as many as 6 cooking probes connected to 6 cooking channels simultaneously. And this is what really sets this model apart from the competition. It means you can easily cook for a crowd, grill, roast or smoke several briskets, steaks or pork butts at a time. Hence, if you don’t have much cooking experience but would like to feast your family and friends on fresh and savory homemade dishes, the Tenergy thermometer will come in more than handy. Functionality and performance aside, the unit is also distinguished by high-quality design and solid build. 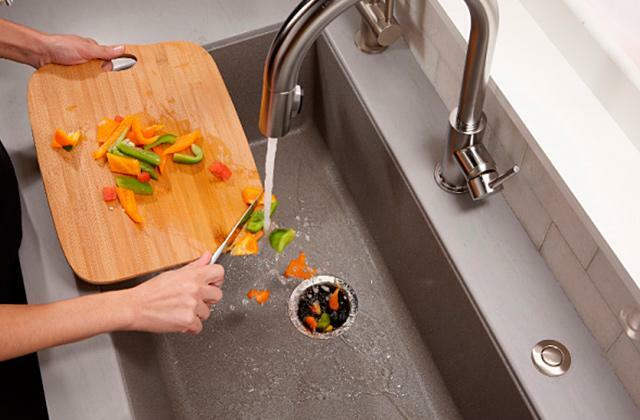 A magnetic back allows attaching it to any metal surface, be it a refrigerator or any part of the grill that is not too hot, for the convenience of use and storage. A backlit LCD display is well-visible under any light conditions. 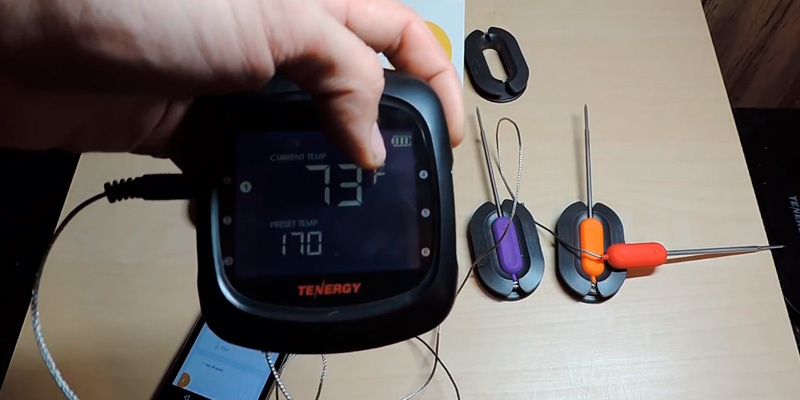 Stainless steel probes and metal wires with Teflon cores can withstand temperatures up to 716°F making the Tenergy one of the most durable cooking thermometers out there. 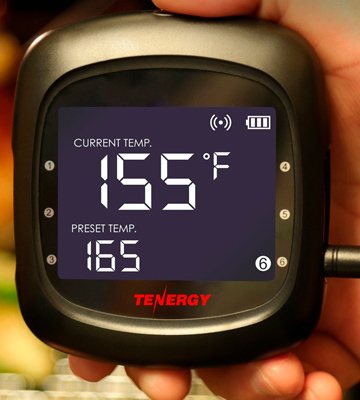 To put it shortly, whatever your cooking skills level, the Tenergy Solis grill thermometer will take every strain and guesswork out of the cooking process and you’ll get excellent cooking results time and again. How often did you try to roast a juicy steak or make a smoked duck breast just like those you’ve tasted in a restaurant and eventually failed? Unfortunately, even top-quality ingredients and an efficient cooker are not enough to get a truly delicious dish. A lot also depends on closely following the cooking technique and strictly sticking to cooking temperatures. Skilled chefs often do it intuitively. Yet, for home cooks, it is not that easy unless they have a professional-grade cooking thermometer from the ThermoPro at hand. The TP-07 belongs to the series of wireless remote digital controllers designed to make cooking temperature monitoring a truly effortless task and to bring your cooking to a new quality level. The package includes receiver and transmitter units with an operating range up to 300 feet. 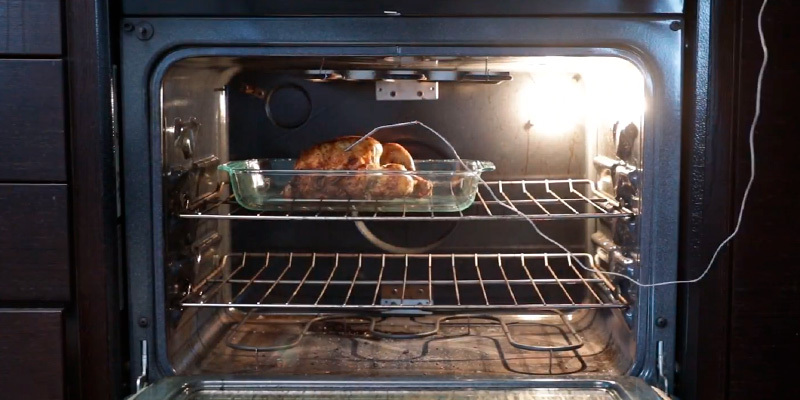 A transmitter unit is put next to the oven or grill with a probe punctured into the food to transfer the measurement data to a receiver unit you can carry around with you. It means you don’t have to hover over the oven all the time and can do any other chores around the house while your ThermoPro controls the cooking process. And there is no need to constantly check the data on the receiver, a sound signal will let you know when your dish is cooked to perfection. To start using your TP-07, it is enough to simply insert the batteries and turn both units on. Since they come pre-synchronized, they will smoothly pair together saving you the hassle to install any application or make any other adjustments. All enthusiastic meat lovers know that it is very difficult to strike a delicate balance between an undercooked and overcooked meat. In terms of cooking, the line between a medium rare and medium beef steak is almost invisible. It might take less than a minute. Yet, it is always about the right cooking temperature. And once you follow it, you are sure to get the desired doneness degree. With the TP-07, you’ll have no problem with that. Operating within the temperature range from 32°F to 572°F, this model offers as many as 8 meat programs including pork, beef, veal, lamb, chicken, poultry, and fish, and 5 meat taste modes varying from rare and medium rare to medium, medium well and well done. So, no matter what dish you cook, just choose the right meat type and taste mode to grill a succulent steak, make a mouth-watering pork roast, barbecue deliciously soft ribs, or get a perfect golden crust on a whole-roasted chicken just the way you like it. Fitted with an LCD screen, the TP-07 provides 3 backlight color options that are very helpful for managing food temperature and adjusting the cooker settings in a proper way. Thus, a blue light indicates that a temperature is increasing by 10°F. A green light means that the temperature is 15°F away from the targeted setting while red color will inform you that the cooking temperature has reached the point. Meanwhile, a built-in countdown timer will let you accurately set and monitor the cooking time. 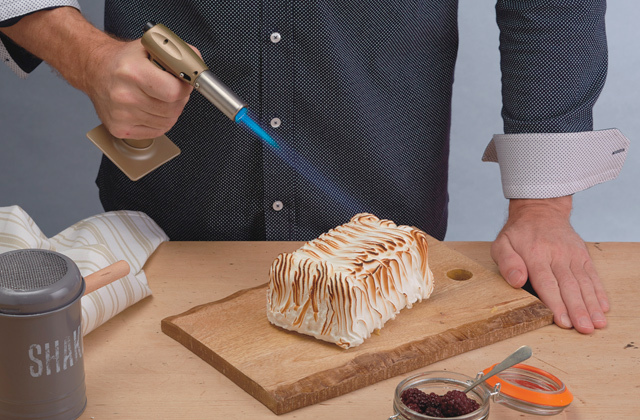 With the ThermoPro TP-07 cooking thermometer at hand, even a novice cook can take a risk of cooking complex and sophisticated haute cuisine without the fear to screw it up. What Is a Cooking Thermometer? A cooking thermometer is surely an irreplaceable tool in the kitchen. If you’ve never used one or/and believe it’s a useless device, you need to read our review. cooking thermometers are designed to facilitate the cooking process and help you achieve the best results. Using a cooking thermometer, you’ll know for definite whether your meal is done or it still needs a few minutes in the oven. 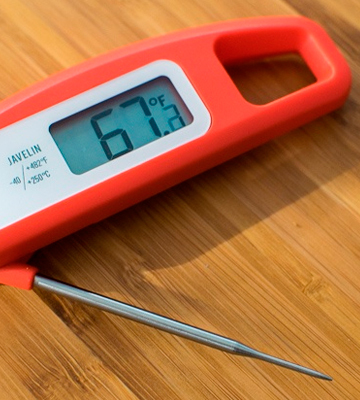 cooking thermometers are also widely used for grilling steaks. Taking the temperature of the cooked meat will tell you exactly if your steak is rare, medium or well-done so that you can enjoy a delicious meal. 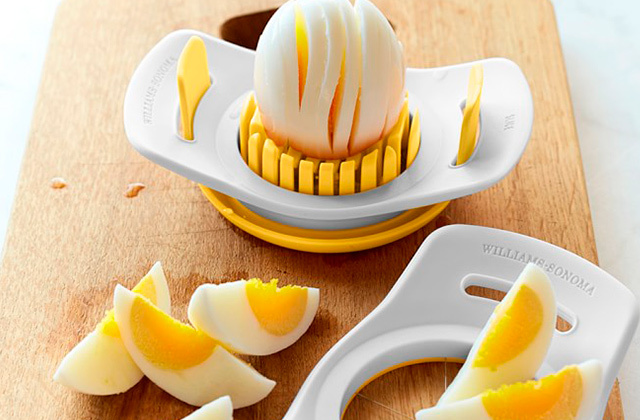 cooking thermometers ideally suit young parents who often have to heat baby food. Knowing the right temperature, you wouldn’t need to sip at the milk but give it right to your little one. These thermometers are used to take both, above and below-zero temperatures. 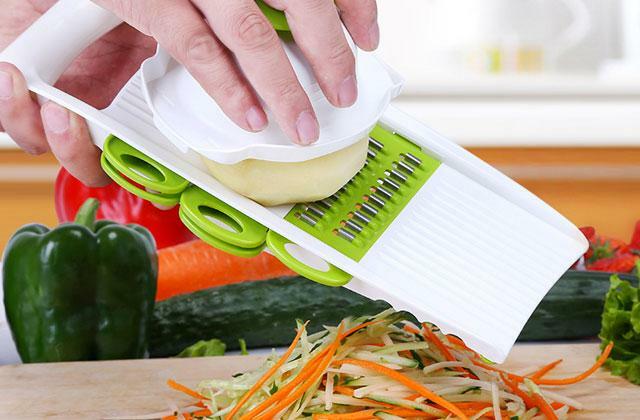 Hung from the rack in the fridge or oven, it will help you cook and preserve food in a perfect way! A kitchen and food scale is another useful measuring kitchen device that most home cooks would love to have. Read our review and choose the best one. 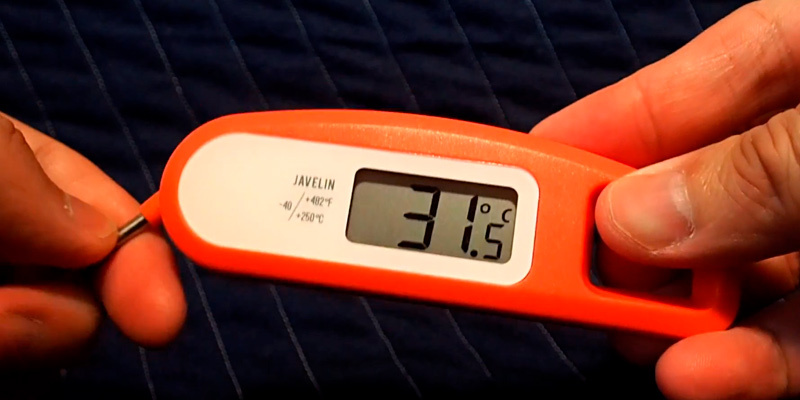 There are two main types of thermometers: digital and analog. The latter has a more limited scope of application. The accuracy of these thermometers is quite relative, so when choosing this model you should take into account only approximate result. Also, you should note that analog thermometers have slow response time, so you won't be able to see the exact temperature in few seconds. Standard digital thermometers have a metal probe that is attached to the unit. They display the temperature right on the screen. Thermometers with STEP-DOWN probe are very much alike to standard digital thermometers. They only differ in the length of the probe that allows for taking the temperature of the meal whilst it's still in the oven yet, hold the thermometer right before your eyes. These cooking thermometers usually offer a rich bundle of other options for extra convenience - timers, audio signals, various indicators, etc. Infrared digital thermometers are capable of taking the temperature at a distance. Their distinctive advantage is that they don't get to be stuck right into the food, hence extra cleaning is not required. 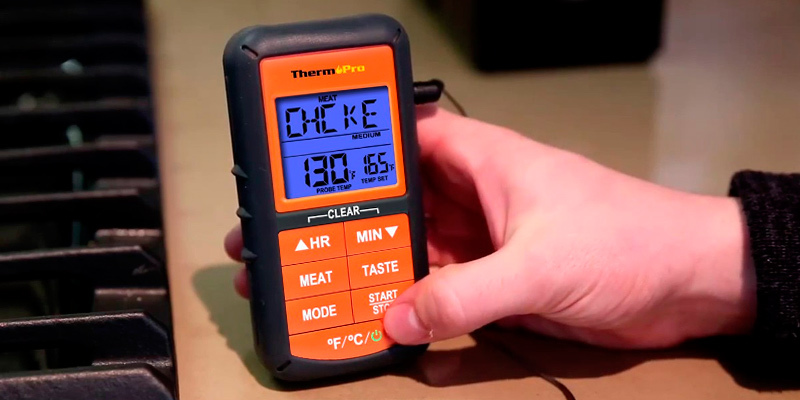 Infrared cooking thermometers are merely directed to the objects to get the instant results on the screen. However, they won't sense the inside temperature of the meal so you still may miscalculate the time required for cooking. All thermometers have their own temperature amplitude that ranges from -58°F (-50°C) to +400°F (250°C). For example, a suitable temperature for boiling milk is 212°F (100.5°C). Steaks, ham or fish are considered to be well done if their temperature reaches +392°F (200°C); if you are baking bread, the ideal temperature for it to crust should reach 572°F (300°C). As we've mentioned above, cooking thermometers are often used in the fridges too. The optimal temperature to maintain in the refrigerator can vary between +35°F (+1.6°C) to -11.2°F (-24°C). We highly recommend you to pay attention to the usability of the device. If you are going to use a thermometer for dipping it into hot or boiled food, it's got to have a long probe, otherwise, you may get burnt. Most thermometers are just as well equipped with other features for convenience of use - magnets, stands, hooks, backlit displays. They are not as important but surely desirable for comfortable usage. 1. How to Choose a Food Thermometer, wikiHow. 2. Meat Thermometer, Wikipedia. September 27, 2017. 3. How to Use a Meat Thermometer When Grilling, eBay. March 10, 2 016.